Dr. Plecki's research and teaching expertise includes: school finance, education policy, the economics of education, educational leadership, the allocation of resources for school improvement, teaching quality, and mixed methods research design. 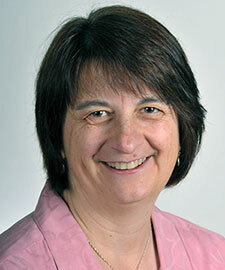 Dr. Plecki is the Director of the Center for the Study of Teaching and Policy. She was elected as the President of the Association for Education Finance and Policy and served two terms on the organization’s Board of Directors. Prior to joining the faculty, she worked as a special education teacher, a school administrator, and the Managing Partner of an education consulting firm. Dr. Plecki also has served as a member of the State of Washington’s Compensation Working Group. Elfers, A. M., Plecki, M. L., & Van Windekens, A. (2017). Understanding Teacher Retention and Mobility in Washington State. Research commissioned by the Washington State Office of the Superintendent of Public Instruction. Seattle, WA: Center for the Study of Teaching and Policy, University of Washington. Download Report. Plecki, M. L., Elfers, A. M. & Wills, K. (2017). Understanding Principal Retention and Mobility in Washington State. Research commissioned by the Washington State Office of the Superintendent of Public Instruction. Seattle, WA: Center for the Study of Teaching and Policy, University of Washington. Download Report. Plecki, M. L., Elfers, A. M., St. John, E., & Yeh, T. L. (2016). “Practitioners’ responses to Washington’s required use of student growth measures in teacher evaluation,” in Kimberly Kappler Hewitt & Audrey Amrein-Beardsley, eds., Student Growth Measures in Policy and Practice: Intended and Unintended Consequences of High-Stakes Teacher Evaluations. New York: Palgrave Macmillan. Halverson, T. & Plecki, M. (2015). Exploring the politics of differential resource allocation: Implications for policy design and leadership practice. Leadership and Policy in Schools 14 (1), 42-66. Plecki, M. L., Elfers, A. M. & Yeh, T. L. (2015). Washington's Teacher and Principal Evaluation System: Efforts to Support Professional Development. Research commissioned by the Washington State Office of the Superintendent of Public. Seattle, WA: Center for the Study of Teaching and Policy, University of Washington. Knapp, M., Honig, M., Plecki, M., Portin, B., & Copland, M. (2014). Learning-Focused Leadership in Action: Improving Instruction in Districts and Schools. New York: Routledge. Plecki, M., Elfers, A., & Nakamura, Y. (2012). Using evidence for teacher education program improvement and accountability: An illustrative case of the role of value-added measures. Journal of Teacher Education 63 (5): 318-334. Elfers, A. M. & Plecki, M. L. (2016). The role of a district teacher leadership program in supporting school and district improvement initiatives, The WERA Educational Journal, 9(1), 3-13). Elfers, A. & Plecki, M. (2014). Results of a state incentive program on the supply and distribution of National Board Certified Teachers. Leadership and Policy in Schools 13: 147-168. Plecki, M., St. John, E., & Elfers, A. (2013). Examining the views of undergraduate STEM majors regarding K-12 teaching as a profession. Teacher Education and Practice, 26 (4),739-759. Plecki, M., Elfers, A., St. John, E., Finster, M., Emry, T., Nishida, N. & Harmon, J. (2010). Study of the incentive program for Washington’s National Board Certified Teachers. A report prepared for the Washington State Board of Education. Knapp, M., Copland, M., Honig, M., Plecki, M. & Portin, B. (2010). Learning-Focused Leadership and Leadership Support: Meaning and Practice in Urban Systems. A research report prepared for the Wallace Foundation. Seattle, WA: Center for the Study of Teaching and Policy. Loeb, H., Elfers, A., & Plecki, M. (2010). Possibilities and potential for improving instructional leadership: Examining the views of National Board Teachers. Theory Into Practice 49 (3): 1-10. Plecki, M., Knapp, M., Castañeda, T., Halverson, T, & LaSota, R. (2009). How leaders invest staffing resources in learning improvement. Research commissioned by the Wallace Foundation. Seattle, WA: University of Washington Center for the Study of Teaching and Policy. Plecki, M. & Castañeda, T. (2009). Whether and how money matters in K-12 education. In Sykes, G. & Plank, D. (Eds.) Handbook of Research on Education Policy. Washington, DC: American Education Research Association, 453-463. Plecki, M. & Elfers, A. (2009). Taking stock of Washington’s teacher workforce: An assessment of conditions prior to the economic downturn. A report commissioned by the Center for Strengthening the Teaching Profession. Seattle, WA: Center for the Study of Teaching and Policy. Elfers, A., Plecki, M. (2008). Undergraduates’ views of K-12 teaching as a career. Report commissioned by the Professional Educator Standards Board. Seattle, WA: University of Washington College of Education. Elfers, A., Plecki, M., Knapp, M., Yeo, G., & McGowan, M. (2007). Teaching math in Washington’s high schools: Insights from a survey of teachers in high performing or improving schools. Report prepared for the Office of the Superintendent of Public Instruction. Seattle, WA: University of Washington Center for the Study of Teaching and Policy. Plecki, M. (2006). Reflections on the field of school finance: Enduring questions and future directions. Education Finance and Policy 1 (2): 167-175. Plecki, M., McCleery, J., & Knapp, M. (2006). Redefining and improving school district governance. Paper commissioned by the Wallace Foundation. Seattle, WA: University of Washington Center for the Study of Teaching and Policy. Plecki, M., Alejano, C., Knapp, M., & Lochmiller, C. (2006). Allocating resources and creating incentives to improve teaching and learning. Paper commissioned by the Wallace Foundation. Seattle, WA: University of Washington Center for the Study of Teaching and Policy. Elfers, A., Plecki, M., & Knapp, M. (2006). Teacher mobility: Looking more closely at the “movers” within a state system. Peabody Journal of Education 81 (3), 94-127. Plecki, M., Elfers, A., & Knapp, M. (2006). An examination of longitudinal attrition, retention, and mobility rates of beginning teachers in Washington state. A report prepared for the Harry Bridges Labor Research Center, Seattle, WA: University of Washington. Plecki, M. & Loeb, H. (2004). Examining state and federal efforts to improve teacher quality: Lessons for policy design and implementation. In Smylie, M. & Miretzky, D. (Eds). Developing the Teacher Workforce. The 103rd Yearbook of the National Society for the Study of Education. Chicago, IL: Univeristy of Chicago Press: 348-389. Plecki, M., Elfers, A., & Knapp, M. (2003). Journal of Education Finance 25, 565-582. Plecki, M.L. (1995). Efficacy of an early intervention program for moderately handicapped infants. Economics of Education Review 14(4), 417-424.